Hospital Themed Restaurant, Singapore | Top 11 Themed Cafes And Restaurants Around the World! Everything resembles a hospital here. 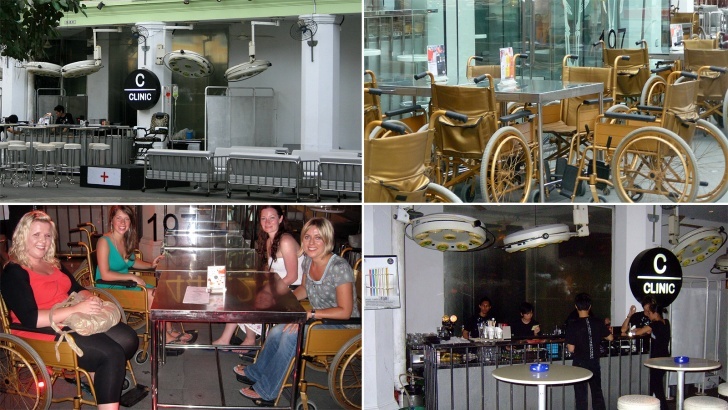 Food is served by nurses and guests sit in wheelchairs. If you want to wash hands or ease yourself, look for the door with the sign “emergency room”. Most drinks are served in syringes and are squirted by nurses-waiters directly into your mouth.